SATO M10e was designed with manufacturing applications in mind. The Sato M10e was designed with manufacturing applications in mind. This barcode printer creates labels up to 300mm inches wide at a maximum speed of 127mm inches per second. 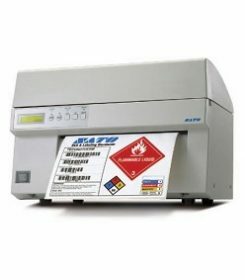 The 267 mm print head allows you to print large compliance labels at maximum speed without the need to rotate the image. The Sato M10e printer supports media up to 300 wide 422mm long (approx.). To achieve maximum performance, each Sato M10e printer has a 32-bit high-speed RISC processor. 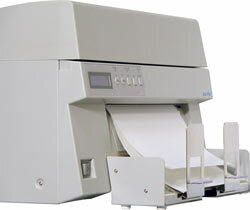 Faced with the demand for larger label rolls, the units are available for several SATO printers. Thanks to its robust chassis, printers can be installed safely on the unwinder, which makes it the ideal solution for large rolls of labels. All SATO industrial printers use plug-in interface modules for maximum flexibility. They can be easily replaced on the site to support any of the commonly used host interfaces. The plug-in interface modules are available for the following ports: high-speed parallel, RS232 series, RS485 series, 802.11g wireless, 10 / 100BaseT Ethernet and USB. The stacker can print large volumes of adhesive labels and cardboard continuously. 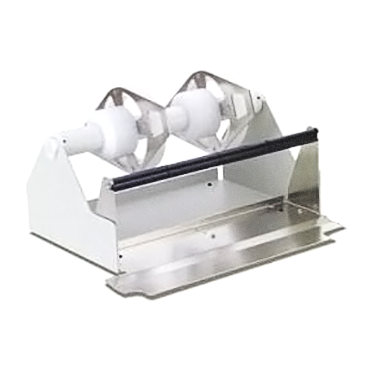 Cutter guillotine / cutter rotary option cutter cuts labels accurately labels to 0.25 mm thick. External rewinders are ideal for batch printing applications and support 244 mm wide label rolls with OD roll of up to 300 mm. It can be self-powered through the printer (RWG500) or with an optional external power supply. SATO has a wide range of rewinders. 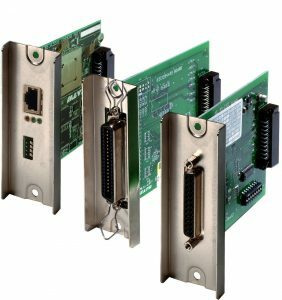 (1) In The printer can only connect one interface module at a time. A plug for the PCMCIA memory card (up to 4 MB SRAM or 16MB Flash-ROM). Applicable for the storage of image files, expansion of the print memory, format memory and character sets to download. CALENDAR The internal clock can be used for stamping the date and time for the indication of the moment of printing on the labels. CUTTER OF LABELS Additional device that makes it possible to cut labels at certain distances. Controlled by program. WIRELESS LAN 802.11bAll specifications are subject to change without notice. 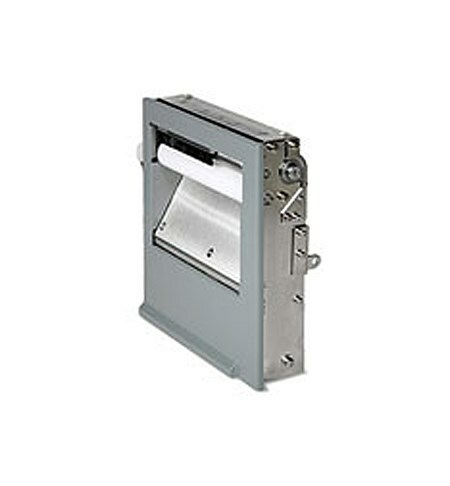 The SATO ribbon are high quality and suitable for use in any thermal printer, regardless of the brand or type. The ribbon orders are delivered throughout Europe in a maximum of 72 hours and will be stored in the new European central logistics warehouse in Poland. SATO constantly designs and tests its consumables to ensure high printer performance and printhead durability. These consumables are used to print bar codes, texts, logos, etc. in all kinds of materials. For each material to be printed, there is a SATO ribbon with a quality suitable for each need.